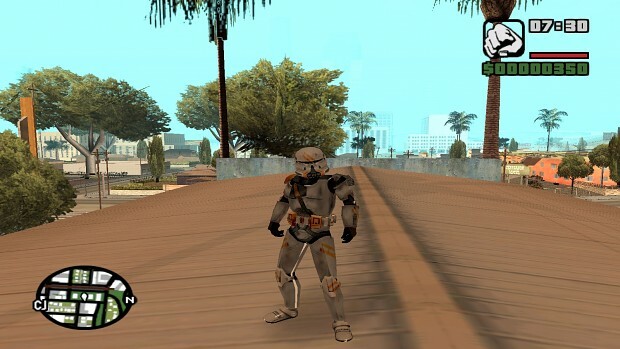 Totally new Star Wars mod concept for the San Andreas engine! Awww.... Now I really like this one! Pretty awesome! upload only the finished skins, don't start with new things, if you don't finished other. please, make a link only with the skins you finished!!!!! So here, one more. Clone armor that can be seen in the 3rd SW movie.